The booklet displays yield, height, lodging, days to maturity and calculated gross revenue values for 29 varieties (from all three HT systems) grown in short, mid and long season zone locations all across western Canada. 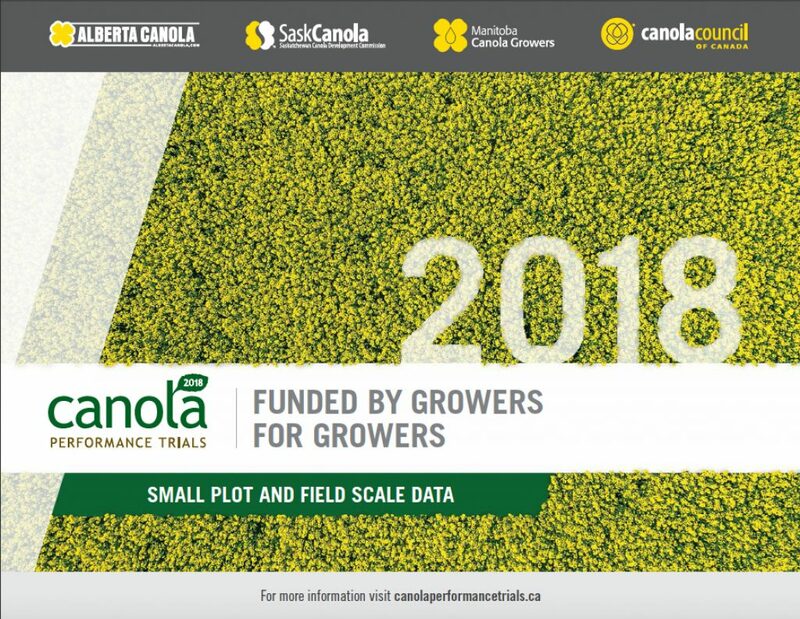 It features results from 18 standard and nine straight cut small plot trials, as well as 42 field scale trials across the Prairies (including 13 standard, 20 straight cut and nine clubroot‑resistant variety field scale trials). 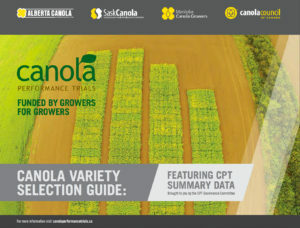 This booklet is designed to assist growers with the variety selection process by showcasing 2011 through 2016 small plot and field scale results from the Canola Performance Trials (CPT). It is laid out in a step-by-step format with many factors along the way for a grower or agronomist to consider and an industry member to showcase.